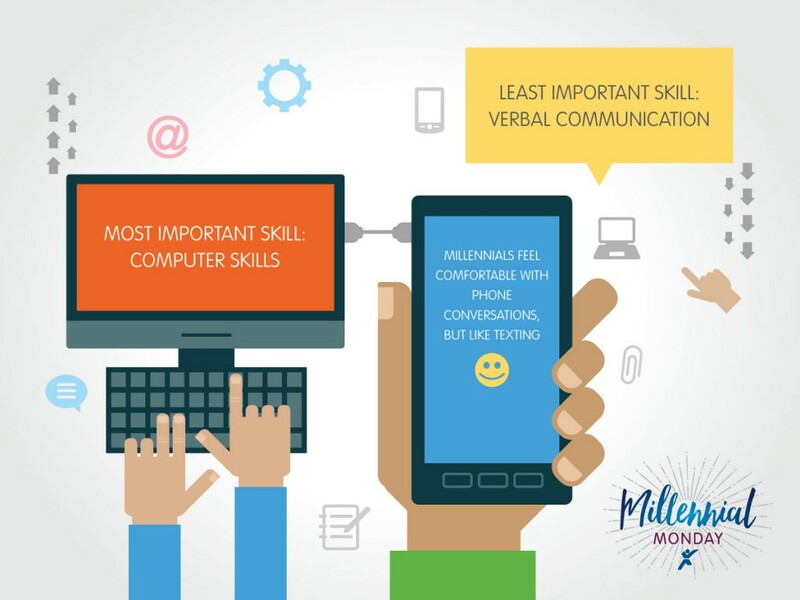 In this week’s installment of “Millennial Monday,” Express and OSU students surveyed Millennials, the majority of whom are working full- or part-time, to paint a picture of the generation’s use of technology and social media. It’s no secret that technology has taken over the workplace. From laptops to cell phones, it’s easy to spot technology almost everywhere you look. And no generation understands this technological craze quite like Millennials. The majority of survey respondents (29%) reported spending 5 – 7 hours a day using those technological devices, followed by 37% who reported spending 8 – 10 hours a day. With the rise of smart phones, it isn’t a huge surprise that the Millennial generation prefers to interact in ways other than making traditional phone calls. In fact, 47% of respondents revealed they’d prefer to send someone a text message rather than call them. Only 18% prefer to make a call, and 33% remained neutral. According to the results of the survey, technology is being introduced to users at a fairly young age. When asked at what age respondents began using technology, 72% selected age 13 or under. More specifically, 35% of Millennials surveyed reported using technology at age 10 or younger. Despite the availability of technology and the fact that these results suggest a large amount of time spent on such devices, Millennials, for the most part, don’t believe they are overly dependent upon technology. In fact, 61% believe they are not. How do you use technology in your work place or job search? Do you think your generation is too dependent upon technology? Share your thoughts in the comments section below! Keep checking Movin’ On Up every Monday for more insight on this important generation. Miss a week? Click the links below to check out previous topics in our series. We learn how to use our resources effectively.